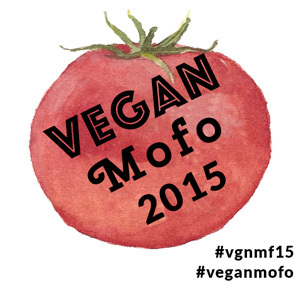 Today is the last day of MOFO - oh no! What did we do before MOFO? Oh ya zines - for me. I can get back to working on a new issue and working on some new jewelry, one item I have been planning on for like six months! Since it is the last day of MOFO and it landed on a 'try something new day" I want to talk about holiday plans. I just got the Vegan Food Gifts book via the box with a smile on it last week. This has inspired me to create some gifts in jars for people on my list. The book is really cute! The ingredients are easy to find for the most part and each page has a nice layout and gift ideas on how to give items. 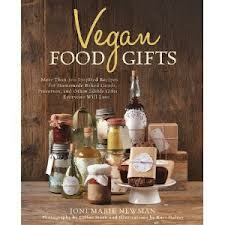 I think the gifts would work for vegan and omnivores a like. A lot of ideas are great to do in batches if you work in a office setting you could make each person a yummy jar! I am thinking some of these things for neighbors would be a hit! Speaking of holidays - it is Halloween! 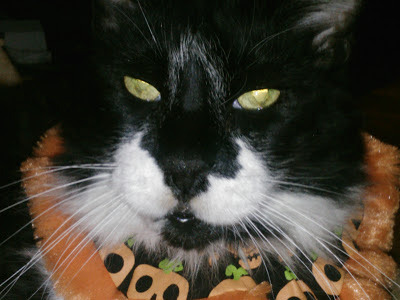 I did not find much in the way of cute-spook this year! It is OK, I am really trying to not add more clutter! I hope your Halloween is fun - even if you are staying in like us! We have mini bags of Oreos, Swedish Fish and Sour Patch Kids to give out! Also once Matt gets home from work we give each other little Halloween gifts! Maybe tonight we will watch something spooky! I want to see some of the gifts you make! I can't wait to see what gifts you make!